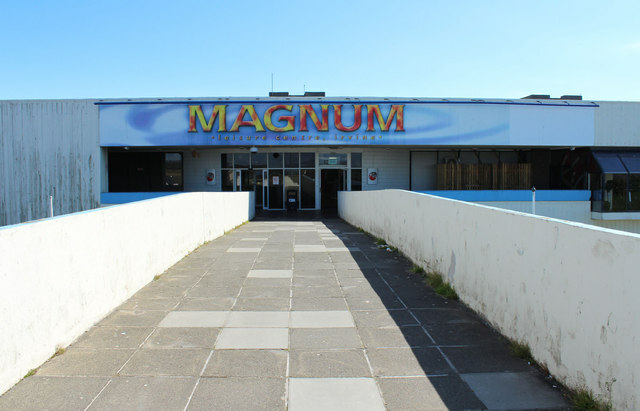 The Beach Park trails at Irvine for the National Cross-Country Championships and for the Scottish Schools Championships were good – but the billing was enhanced by the presence of the Magnum Leisure Centre. 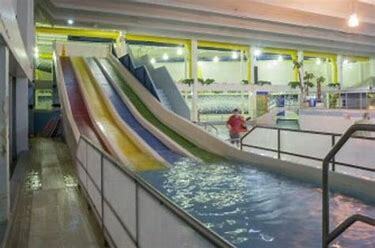 Opened in 1977, it was the largest leisure centre in Europe and in the early 1980’s it averaged a million visitors a year. The (Glasgow) ‘Herald’ reported: It was the envy of Europe – a multi-purpose leisure centre which played host to some of the world’s most iconic bands. … It had something for everyone – with bowls, and boxing champions crowned, gymnastics displays, dog shows, Frosty’s ice disco and bands from The Jam and The Clash to The Smiths and Chuck Berry.” If the great Hamilton Racecourse cross-country courses had no changing rooms, The Magnum had changing areas, showers, cafes, restaurants, swimming pools and everything you could want – and then even more. For runners though, it just the backdrop to the cross-country championships. All ages from Under 13 to veteran, all championships for schools, for clubs, for men and for women held their championships there. Shown below is the famous bridge across the road into the centre, crossed by many weary, muddy, tired-but-mostly-happy runners. Junior Boys: 1. S Holden (Falkirk Victoria), 2. G Phillip (Edinburgh AC), 3. K Wood (Edinburgh AC) Team: Shettleston. Senior Boys: 1. D McShane (Cambuslang), 2. I Matheson (Aberdeen), 3. K Maxwell (Falkirk Victoria) Team: Springburn. Youths: 1. R Copestake (Dundee Hawkhill), 2. A Callan (Springburn), 3. S Paul (Clyde Valley) Team: Springburn. Juniors: 1. G Williamson (Springburn), 2. P Fox (Clyde Valley), G Braidwood (Bellahouston) Team: Edinburgh Southern. Seniors: 1. N Muir (Shettleston), 2. J Robson (Edinburgh Southern), 3. A Hutton (Edinburgh Southern) Team: Edinburgh Southern. The first nationals at Irvine were voted an outstanding success. To expand on Colin’s remarks on the course it should be said that there were several testing hills on the course – the first just coming up for the field picture at the top of the page – with the Dragon Hill the daddy of them all. The runners came down on to the beach at speed with only an obstacle peculiar unto Irvine (made of three railway sleepers) to negotiate and then the run through the sand to master. Some ran well down on to the flat damp sand for a semi-firm footing and others just turned left and got on with it through the dry, lumpy, shifting, ankle testing sand. At the end of this short stretch there was another right turn with a step up on to firm footing again but it pretty well ensured that the hills was tackled from a standing start with no run in. This was the 1 in 5 hill that Colin refers to above. This was where the more sadistic spectators congregated. The story from across the Atlantic of the runner coming into a hill being exhorted by his coach first of all to “get some places on the hill”, then, when that was not on it was “just hold your place“, then “well, keep running,” and finally “walk faster” , could well have been told of the Dragon Hill. Despite the success of the venue, maybe because it was situated in the extreme south west of the country, the SCCU went back to the 19th century practice of alternating the venue between east and west. 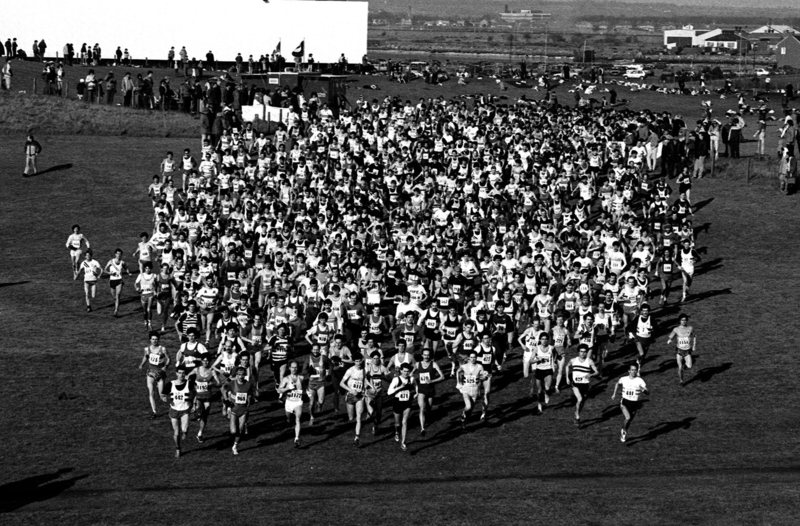 Between 1890 and 1900 the national cross-country championship was held at Cathkin, Tynecastle, Hampden, Musselburgh, Queen’s Park, Inverleith, Paisley, Musselburgh, Hampden and Musselburgh. The late 20th century version saw the championship held at Irvine in 1982, ’84, ’86, ’88, ’90, ’92, ’94, ’96, ’98, 2000, ’01 and ’05 with a variety of venues (Callendar Park, Jack Kane Sports Centre and Wilton Lodge, Hawick among them) in the intervening years. It was a bit of a pity because used continuously it could have been as legendary a venue as Hamilton had been.between 1929 and 1968. A Hutton (ESH), 38:45, 2. J Robson (ESH) 38:58, 3. N Muir (Shettleston) 39:11, 4. R McDonald (Clyde Valley) 39:23, 5. A Douglas (VPAAC) 39:23, 6. J Brown (CVAC) 39:31, 7. L Spence (Shettleston) 39:42, 8. E Stewart (Cambuslang) 39:40, 9. T Mitchell (Fife) 39:42, 10. G Braidwood (Bellahouston) 39:57, 11. J Dingwall (Falkirk Victoria) 40:00. Note that third placed was timed at 39:11 and there was a total of nine runners within 49 seconds. And these were all top class athletes including legendary performers like Nat Muir, Lawrie Spence and Jim Dingwall. There were 384 individual finishers and 30 teams. 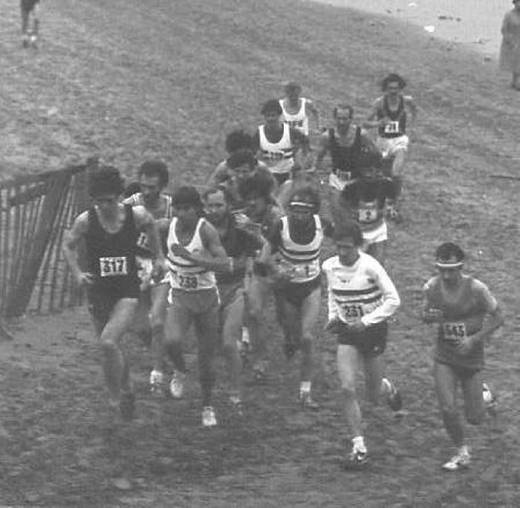 Off the beach, on to The Hill in 1982: note A Hutton (231), J Robson (239), N Muir (545), A Douglas (238), Alistair Douglas (317) plus Fraser Clyne and Lawrie Spence. The championships were held at the Jack Kane Sports Centre in Edinburgh returning to Irvine on 25th February, 1984. Winner this time was Nat Muir on a day when one of the mainsprings bringing the national to Beach Park, Jim Young and his wife Betty, welcomed 2000 entries for the championships. This time there were 531 finishers in the senior race, 83 in the junior men, 100 in the youths, 176 in the senior boys and 190 junior boys. It was a venue that runners found attractive, that families and supporters also liked – the former for the courses that were laid, and the latter at least in part because of the facilities available at the Magnum. Nat Muir had only run in Scotland twice in the winter 1983/84 season but here he went right to the start and defeated Hutton by over 40 seconds with Fraser Clyne of Aberdeen in third. It was his fifth senior title in six years equalling the feat of Andrew Hannah of Clydesdale and J Suttie Smith. Robert Quinn of Kilbarchan who had won the Youths title the previous year, won the Junior Men’s championship at his first attempt and the other winners were Steven Begen (Springburn) in the Youths age group, Alaister Russell of Law & District in the Senior Boys and Clark Murphy of Teviotdale Harriers. The venue was proving just as attractive to the women cross-country runners as it was to the men and, for the first time, their championships were held there earlier in the month – on 4th February. Elise Lyon of Wycombe Phoenix won the senior race from Andrea Everett (Glasgow) and K Husband (Edinburgh). Edinburgh Southern won the team race with Palm Gunstone of Dundee winning the veterans section. S Renwick of Morpeth won the In termediates race, L Reilly of Morpeth won the Juniors, D Barker of Morpeth won the Girls race and S Priest of Morpeth won the Under 11 girls race. 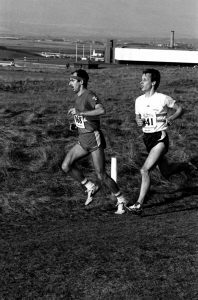 22nd February, 1986, was the date of the next trip to Ayrshire and again Nat Muir was the winner from Neil Tennant (Edinburgh Southern Harriers) and Calum Henderson, also ESH) who had won the Junior Men’s title at this venue in the colours of Tayside. The numbers showed no sign of abating with 586 contesting the senior race with all the top men coming from every corner of the country. Steven Begen of Springburn successfully stepped up an age distance to win the Junior race from Rob Carey of Annan and Tom Hanlon of ESH) and Alaister Russell also stepped up an age group and won the Under 17 race from Sam Wallace of Cambuslang. Senior Boys champion was Glen Stewart of Clydebank AC from Frank McGowan of VPAAC with the Junior Boys title going to Jason Hemmings of Pitreavie who finished ahead of D Macpherson of Cambuslang. So far, so good but there was a bit of controversy when it came to deciding the winning team. 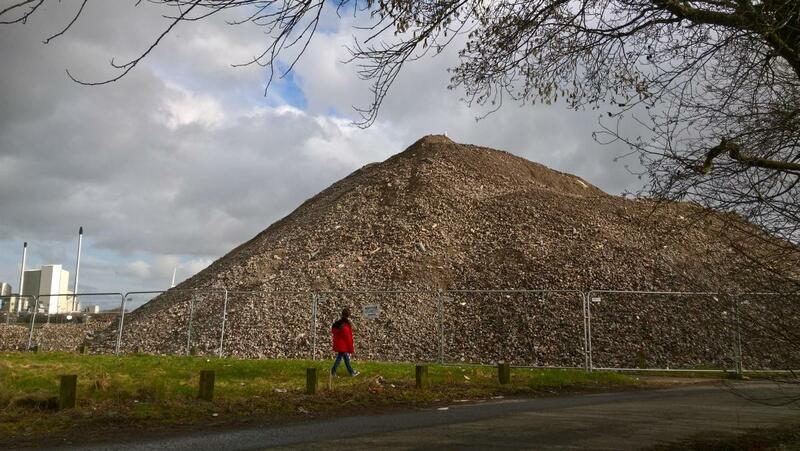 As ever, Doug Gillon of the Glasgow Herald covered the story. Phew, a close shave. But justice was done and Southern kept the trophy. The women’s championships were also held at Irvine’s Beach Park, but on the Sunday when J Lorden of Edinburgh defeated Christine Pryce of Dundee Hawkhill and J Standing of EAC. “A man who spots cheats for a living ran the most honest of races to capture the Scottish senior cross-country title at Irvine Beach Park at Irvine Beach Park on Saturday. Neil Tennant of Edinburgh Southern Harriers staged a courageous display of front running to grind out a remarkable comeback victory over the favourite, Chris Robison at the AT Mays sponsored national championships. On a day when record attempts were thwarted at every turn, Hawick born Tennant demonstrated that the race goes not only to the swift but to the fast thinker. His work with Cambridge University’s local examinations syndicate involves investigating students cheating in examinations, a fairly cerebral activity, and he put his brains as well as his legs to work in planning his victory. Angered by the lack of recognition he has received in his homeland, a feeling compounded by the welcoming embrace accorded to the English-born naval officer Chris Robison, he nursed his wrath to stoke the motivation for success. “I was determined the title would go to a Scot,” said the 25 year old Tennant, a physical education graduate. It is a very interesting article – you can read it in its entirety in the Glasgow Herald of 29th February, 1988. Minor Girls: H Brooks (Ayr Seaforth); Girls: A Cheyne (Bathgate); Juniors: N Brown (Tynedale); Intermediates: S Granger (Edinburgh Woollen Mill). The men’s and women’s championships were creeping ever closer: from being held at different venues, they were now using the same course. From being held at different times, they were now only separated by one day. With the governing bodies getting ever closer, it was surely only a matter of time before they were held together. The 1990 senior men’s championships was won by Peter McColgan (Dundee Hawkhill) from Neil Tennant and Kilbarchan’s Bobby Quinn. The team championship was won by Cambuslang Harriers with 126 points from Edinburgh Southern who had 159 and Dundee Hawkhill on 183 points. The Junior Men’s title was won by Malcolm Campbell from Glen Stewart – both Clydebank AC – and Mike McCartney of ESPC AC, Youths by Mark McBeth of Cambuslang Harriers from Grant Graham of Victoria Park and S Cook from Queen Victoria’s School, Dunblane, Senior Boys by G Willis of Ayr Seaforth from S Mackay of Inverness and I Richardson of Cambuslang Harriers and the Junior Boys race was won by Kevin Daly of ESPC AC with D McDonald of Perth Strathtay Harriers second and K Mason of Cumnock third. It was a day of seriously bad weather with a biting wind and driving rain; runners were ankle deep in water at some points, in mud at others and occasionally, very occasionally, both feet were on firm ground. There were no women at Irvine this year – their championships were held at Bridge of Don in Aberdeen and the senior title was won by Anne Ridley. 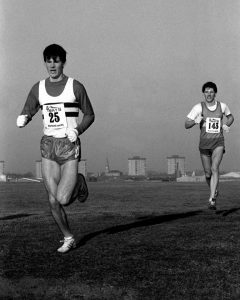 The 1992 title was won by Tommy Murray, running for Cambuslang, who had won the title before in 1989 at Hawick running for Greenock Glenpark Harriers. Second was Chris Robison with Bobby Quinn third. If we look at the winners in the various age groups, K McAlpine of Nairn and District won the Junior Boys race from A Dobie of Cambuslang and A Sandilands of Avonside AC; Senior Boys won by A Reynolds, Cambuslang from K Daley, ESPC AC and S Gibson, Lucozade Motherwell; Youths: C Clelland of Cambuslang was first, G Browitt, Penicuik, second and A Moonie Babcock Pitreavie, third; Junior Men was won by P Mowbray from J Pyrah (both EU) and G Reid, Johnny Walker Kilmarnock. There were 158 Junior Boys, 157 Senior Boys, 127 Youths, 51 Juniors and 612 seniors who finished totalling 1105 in all. The numbers were not quite as good as the best years but were still remarkably high, particularly in the senior men’s race where there were 41 complete teams at the end of the race. After coming so close to a joint championship, the women again stayed away and held their championships at Falkirk. 1994 was the first year that both associations finally got their act together and staged a joint championships and where better to do so than at the Beach Park in Irvine. There would be a total of six joint championships held there before the venue was moved away from Irvine altogether. These were to be on 10th February 1996, 14th February 1998, 22nd February 2000, 24th February 2001 and 19th February 2005, There were drawbacks in a joint event – these were mainly to do with the location in the south west of the country – it was a much longer day for clubs travelling from Dundee, Aberdeen, Inverness, Lochaber and further north, and it was a much more strenuous day for the officials although for them it was to some extent offset by the fact that it was a one day meeting rather than two. The venue itself was ideal in terms of the trail (varied, well drained, a good running course) facilities with enough changing space for all athletes, room for all the administrative work that had to be carried out on the day, a good space for the awards ceremony and the entertainment of the Magnum Centre for the families and supporters of the athletes. Senior Boys: 1. M Combe (Teviotdale); 2. P Young (Victoria Park); 3. K McAlpine (Nairn and District) 127 runners 14 teams. 10 races in total – more than at any previous championship. This size of meeting was now the norm. 1996 saw the joint SCCU/SWCCU back at Irvine for the second time. The men’s championship had the first five runners within a minute – Bobby Quinn (36:46), Tommy Murray (3656); Alaister Russell(37:02), Chris Robison (37:17), Glen Stewart (37:48). There were 488 finishers this time round. The senior women were led home by D Kilner (Aberdeen AC) who was followed home by A Tremble (N Shields Poly – Jnr) and S Ridley (EWM). The second and third Juniors were Sheila Fairweather (CoG – 8th overall) and F Andrews (Cumnock – 10th overall). There were 107 runners in the joint senior/junior race. Winner of the U20 Men’s race was A Milligan of Carnegie with J Duncan (EU H&H) second and C Smith (Aberdeen AC) third. There were 40 finishers. The Under 17 Men’s race was won by Jamie Hendry of Springburn, from M Smith (Tayside) and D Greig (Kilbarchan) and there were 89 finishers. The women’s equivalent age group was led home by Susan Partridge of East Kilbride with S Dugdale (Skipton) second and K Grimshaw (N Shields Poly) third. 34 finished the race. Under 15 Boys’ race was won by J Kiely of Cambuslang. A Cassells (Fufe AC) was second and A MacIndoe (Ayr Seaforth) was third from a field of 109. The Girls race was won by N Coates of Cramlington from H Norman of Babcock Pitreavie and J Ross of VPAAC. 71 finished. The Under 13 races were won by A Lemoncello (Fife) and I MacIntyre (Dundee). Beach Park was without doubt an excellent venue and was being used for the National, for the Schools championships and also by the SVHC – about which, more later. The 1998 championships were held in pouring rain on Valentine’s Day. Spectators, officials and runners were all thoroughy soaked early on in the day. Bobby Quinn won the men’s race from Davie Cavers of Teviotdale and Tommy Murray who was now running for Inverclyde. Phil Mowbray and Tom Hanlon were close on their heels. This was Quinn’s second title and the first of what was to be three-in-a-row, while Murray had already won three and they had been first and second twice already. 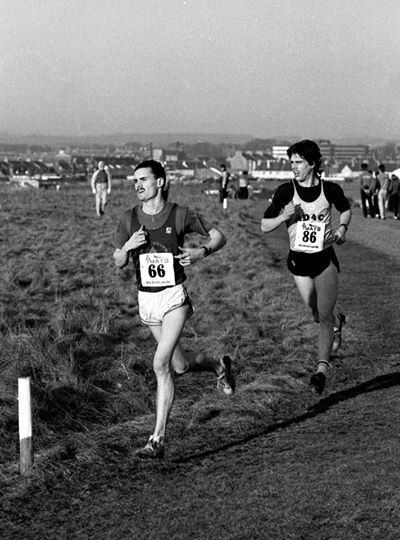 The team race was won by Cambuslang who had by now won the title ten times in eleven years, having been interrupted by Leslie Deans RC in 1996. The 1998 Senior Women’s race was won by Fiona Lothian of Fife AC from hill runner Angela Mudge of Carnethy and Catriona Morrison of GU H&H. The first Junior to finish was Sheila Fairweather (GU H&H) in fifth place followed by Susan Partridge (GU H&H) in twelfth and Vicky Frew of EWM in seventeenth. City of Glasgow won the team race making it four-in-a-row for the club. Glasgow University won the Under 20 women’s race. Graeme Reid of Clydesdale Harriers won the Men’s Under 20 contest from J Stewart from Halifax running for Fife AC with Jamie Hendry of Springburn Harriers, last year’s winner, in third. City of Edinburgh, with their first runner in eleventh place, won the team race. The Under 17 men’s champion was A Cassells of Fife, Robert Docherty of Greenock Glenpark was second and Martin Graham of Shettleston third, and with only three complete teams finishing, Fife AC won the team race. The Women’s race was won by Lesley Paterson of Victoria Park from Hannah Norman of Pitreavie and Nichola Coates of Cramlington AC with Central AC, whose first runner was sixth, winning the team title. At Under 15 the first three boys were A Lemoncello (Fife), Kerr Johnstone (FVH) and Colin Henderson (East Kilbride), while Law and District with their first runner in fifteenth won the team race. The girls race went to Denise Smith of Helensburgh AC with Freya Murray of Lasswade in second and Kym Forbes of Fife in third. The team race went to Kilbarchan whose first runner was twelfth. The first three Under 13 Boys were Darren Malin (Nithsdale), Robin McIntosh (CofE) and Scott Fraser of Lasswade; Cambuslang won the team race with their first runner in thirteenth. In the Girls race, Nicola Stephen of Banchory Stonehaven was first, Lynn Pattison of Gleniffer High School was second and Sharon Lamont of Babcock Pitreavie third. Team race was won by Giffnock North whose first runner was twelfth. Where winning teams have not had a runner placed in the first three, the position of their first scoring athlete has been noted and it is instructive to team managers as well as athletes to note how close packing by the requisite number of athletes can win a club medals. Senior Women Hayley Haining, Angela Mudge and Anne Buckley were the first three; Under 20 Men were led home by G Melvin, Scott Campbell and John McLoone; Under 17 Men had Derek Watson, Andrew Lemoncello and Mark Docherty leading the field, Under 20 Women were Gillian Palmer, Lesley Patterson and Jane MacCrorie; Under 17 Women Dennise Smith, Freya Murray and Jennifer Main; Under 15 Boys: Darren Malin, Adam Watt and Guy Thomson were the first three; Under 15 Girls Claire Wilson, Emily Hutchison and Sharon lamont were the top U15 Girls; Stephen Lisgo, Ross Toole and Adrian Holliday were the U13 first three; Helen Popple, Eilidh Child and Jennifer Emsley led the U13 Girls. The total number of runners on the day was 916 (681 men and 235 women). Compare this to the fields of approximately (and occcasionally over) 2000, that there had been in the 80’s and early 90’s. 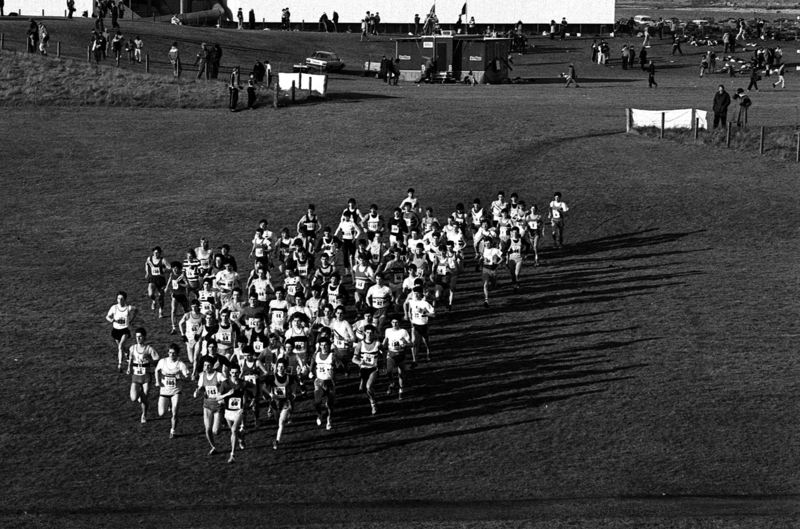 Scottish athletics in the early 21st century was in a state of flux, things were changing in all disciplines – the Edinburgh to Glasgow was on its last legs as far as the new administration was concerned, and with the decline in numbers, the days of the Beach Park in Irvine were numbered. The last championships would be in 2005. It had been a good venue and in fact the Scottish Veteran Harriers Club had used it before the SCCU picked up on it. 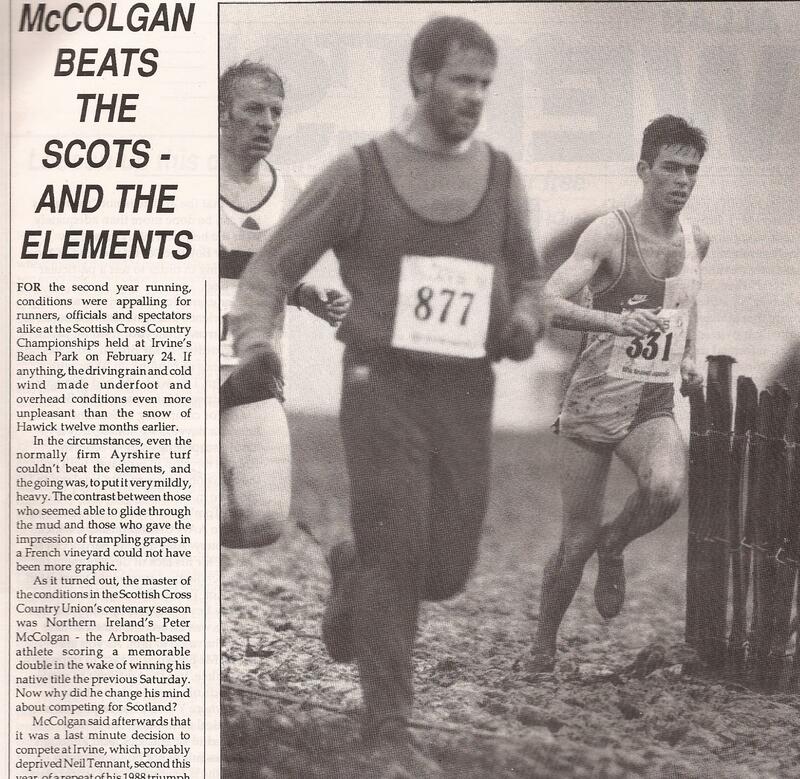 The SVHC Cross-Country championships, which took place between 1972 and 1984, before the SCCU took over with a Scottish Veterans championships, included: 1976 Beach Park; 1978 Irvine Moor; 1979 Irvine Moor; 1980, 81, 82 Beach Park. Then, under the SAF, the Scottish Vets Cross-Country took place at Irvine (Royal Academy) in 2008 and 2009. And the Vets remained loyal to Irvine using Irvine Moor which had long been a venue in Ayrshire and which had been used for the District Championships. Subsequently the Royal Academy venue was also used for the West District Championships. The trail did not have the same challenges or history as the Beach Park was concerned and did not last long as a venue. 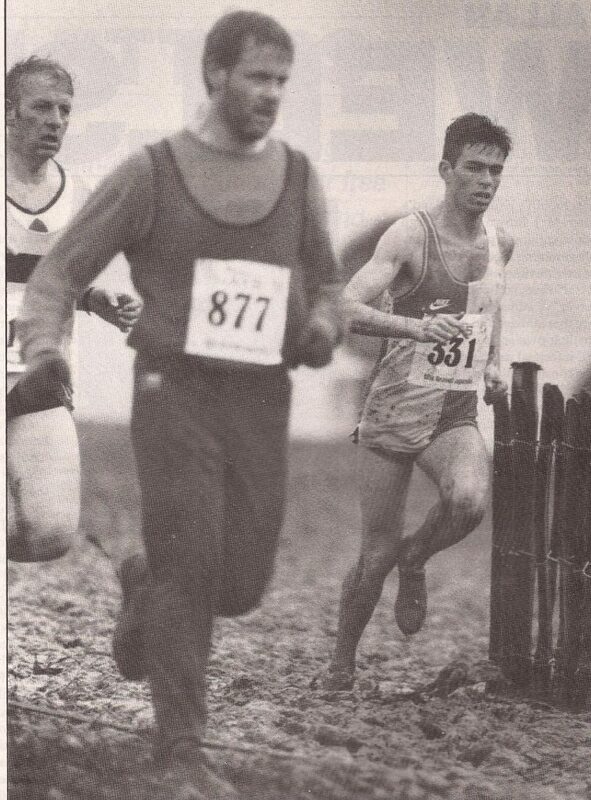 In 1995 the British Veterans Cross-C champs took place at Beach Park. In 1996, the British and Irish Masters Cross-Country International was held at Beach Park. For the SSAA (Scottish Schools Athletics Association) it was a well used venue for some of the biggest numbers of competitors. It was used annually for what was almost certainly the best organised cross-country meeting in the country. Beach Park was a well loved venue and part of the reason has to be the facilities added by the Magnum. When it was finally torn down in 2017/2018 it was a sad day for the sport.